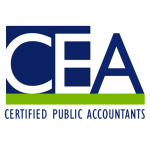 Carpenter, Evert and Associates is a Minneapolis-based CPA firm specializing in client-focused accounting services. They offer tax preparation and planning, bookkeeping, accounting, payroll services, business consulting, and QuickBooks accounting software consultation and training. Work For Carpenter, Evert and Associates? Claim This Page.